Sheldon Harris Consulting are trusted advisors to Boards, Chief Executives and Senior Executive teams. 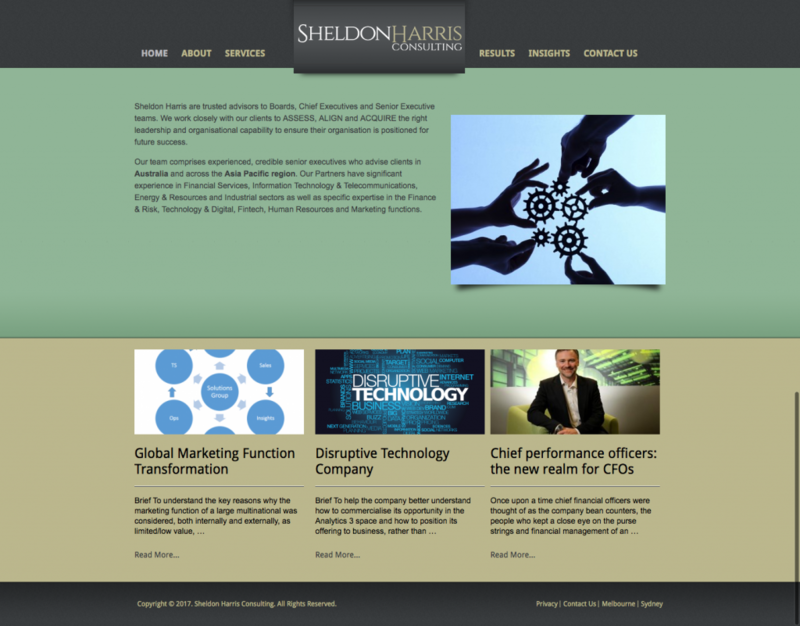 Sheldon Harris needed a website refresh as the old site was outdated and did not reflect their brand positioning. We took a brief from the client and created a new WordPress website. We also created a multi-lingual site and managed the translation of content into Mandarin. This was later removed as the business closed down it’s Shanghai office.